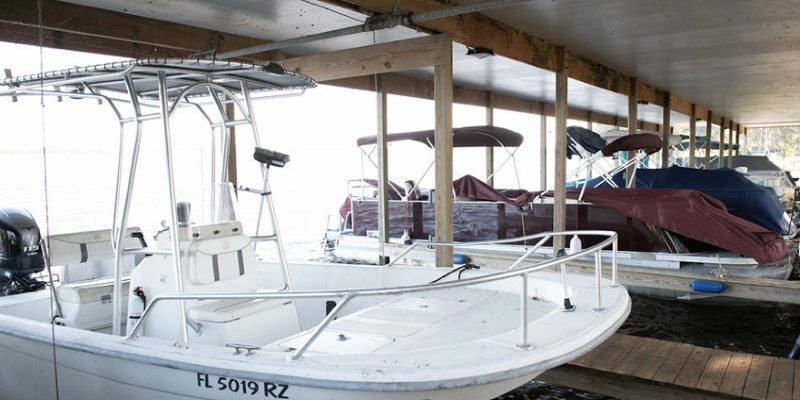 The JB Boondocks Boat Slips are located on the western shores of Little lake Harris. The JB Boondocks Boat Slip were at one time a part of the Palm Tree Harbour Fish Camp, “Mama B” purchased the Old Fish Camp in 1999. 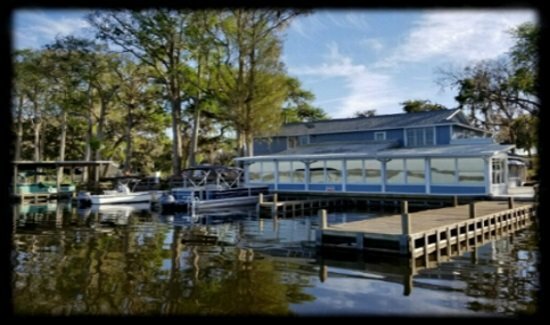 “Mama B” completely refurbished the docks and the adjacent properties which include; JB Boondocks Vacation Apartment Rentals and the popular “JB Boondocks Bar n’ Grill“. Our 20 plus covered boat slips are located directly on Little Lake Harris with access to the entire Lake Harris Chain of Lakes. See pricing and contact below. JB Boondocks Bar n’ Grill Restaurant is located directly adjacent to the boat slips and our vacation/fishing apartment rentals. The restaurant is a landmark in the picturesque town of Howey-in-the-Hills which is also the location of the well known Mission Inn Resort with its two outstanding golf courses, on-site tennis pro, lakeside marina, and luxury homes. Just down the road you can find the Howey Mansion, a historic home in located at 1001 North Citrus Avenue, Howey in the Hills, Florida. The mansion is a 7188 square foot, 20 room Mediterranean Revival Style home. Howey Mansion is named after William John Howey, who founded Howey in the Hills.